JAPAN 2015 [SHORTS]: My First Airbnb Experience. I booked my Japan's accommodation only 1-2 weeks before the trip. It's not easy to secure your accommodation during Spring, checked most of the hotels and they're either fully booked, capsule hotels or way too expensive. Also, because I had a shoestring budget, I resorted to Airbnb. Managed to book Tokyo and Osaka's in a breeze but had slight difficulty with Kyoto (fully booked even on Airbnb). Thankfully, something showed up at the very last minute. 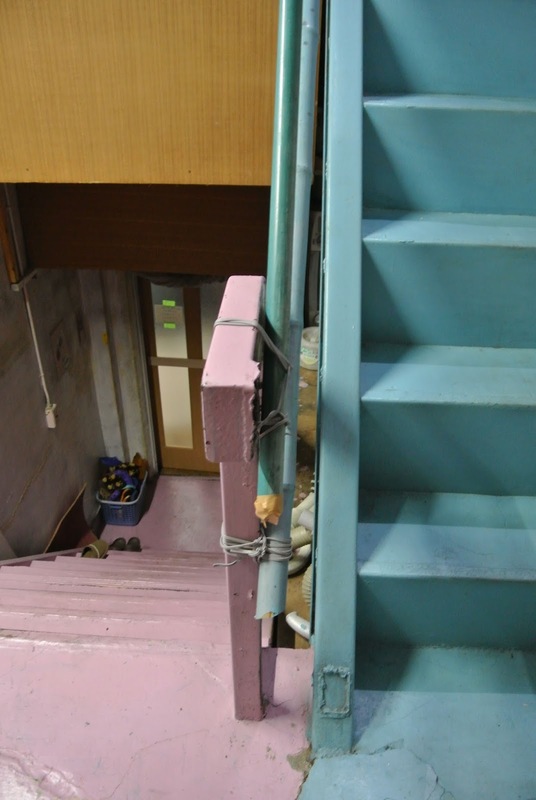 Let's talk about Tokyo's accommodation first. 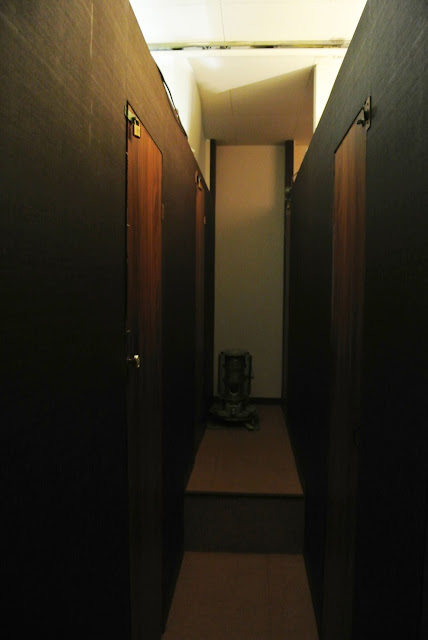 I booked one in Arakawa, and it was a specialised guesthoust. I elaborated on it a little (with pictures) in my first blogpost (here). On my last night in the guesthouse, I decided to take more pictures of the place. The place had several flights of stairs and the owners stayed on the highest floor. You can't really tell from this photo but the steps were rather steep. Lugging huge luggage upstairs would be difficult, but most guests here are backpackers anyway. On every floor, there's this DIY "container" with multiple rooms inside. I'm guessing the owners cleared out the few extra floors they had, and constructed a "container" on each floor. Each container can house about 15 rooms I guess? Remember how small the rooms were? More rooms to come maybe? Here's how the inside of the "container" looks like, in one of the hallway (there were about 2-3 hallways in each "container"). At the end of the hallway is a heater which is turned on at night. From here you can kind of see that the "rooms" are really really very close to each other, and there are no actual ceilings for the rooms. So yes, everyone hears everything. I know when someone is hungry at 1AM from the sound of chips packet being opened which then followed by crunch crunch crunch. I myself got hungry one night and decided to eat an onigiri I bought from the convenience store. Super self-conscious lor, how can this flimsy plastic wrap make so much noise?? Even my chewing sounded loud. 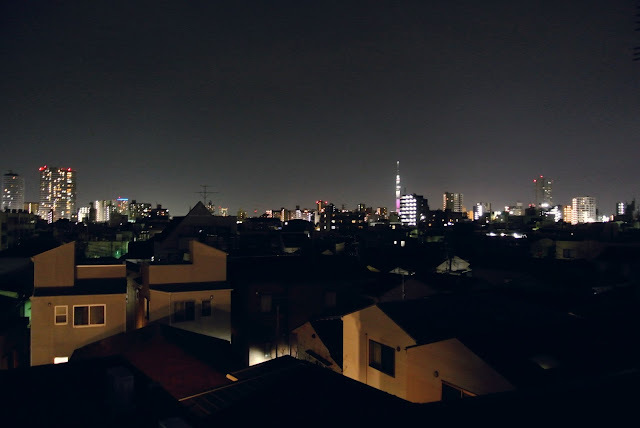 The rooftop is where I find solace.The neighborhood is rather peaceful and you can the Skytree nicely lit up at night. Here's the listing but they must have recently updated it with new photos and categories of room. The photos on the current listing does not show the category that I stayed in (economy room). If you'd like more privacy and comfort, they have single and deluxe rooms too! Friendliness of hosts (Tom and Kimi) - They really are the sweetest hosts you'll get. They are also very willing to assist with your travel plans if you ask. Communal area - Hosting mostly backpackers, sometimes the guests just sit around and talk to each other about their experiences and plans. Affordability - The lower range rooms are really really cheap and the one I took was good enough for me. Though it may look a little messy and cramped in my photos, it's well maintained and clean.